Please note that the Pilning Grand Slam challenge is currently suspended, as the 13:34 is no longer scheduled to stop at Pilning. 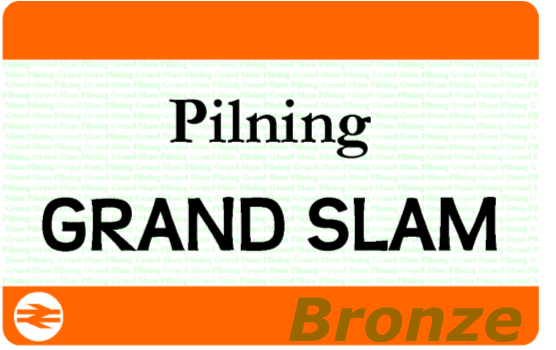 From January 2018, it was replaced with the 15:34 stop, thus giving an opportunity to Pilning passengers to compete in Pilning Scramble. #PilningGrandSlam is the ultimate timetable challenge and epic railway relay. Pilning to Pilning using a minimum of FOUR different Train Operating Companies (TOCs) and several trains. Click on the tickets below to read the full set of rules.